LOCAL BELGIAN WOOL IN BULK to fill your cushions, for your hobbies and a thousand other uses. White, category A wool, mainly from Texel and Ile de France sheep as well as sheep from other locations in the Provinces of Liège, Luxembourg , Namur and Hainaut. 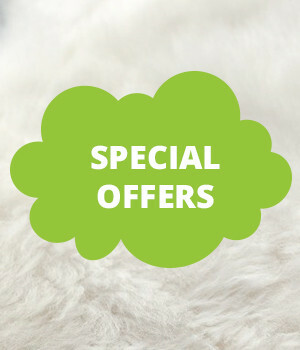 This wool has been specially selected to create comfortable, top-of-the-range bedding. The wool is washed very carefully at Traitex, one of the last major washing mill still operating in Europe and that benefits from the considerable expertise that has been acquired over centuries. As part of our collection procedure we classify the wool into four categories and explain our choices to the breeders. Category A: white, crimpy and clean wool used to make the end-products and for which we pay an additional bonus. Category B: white, crimpy wool but not sufficiently clean Category C: coloured and/or with kemps, used for insulation material. Category D: white wool but so heavily contaminated with vegetable matter that it would have to be carbonised to make it usable (treatment used in addition to washing to dissolve all the vegetable matters with acid). We prefer, then, to use this kind of wool for insulation products. In order to guarantee premium products we only use category A wool to produce our bedding products. An ETHICAL project: We pay each breeder who provides category A wool the basic price plus a bonus of €1 euro per kilo of wool pro rata for the wool that we have and will use for making our duvets. The breeders are our partners and this bonus system works as a form of profit sharing. Added to this, they can be proud to have contributed to a local product and see the end-result of their hard work.